WASHINGTON, D.C. (JTA) – On the heels of actress and activist Alyssa Milano’s remarkable statement indicating that she plans to boycott the upcoming 2019 Women’s March because of its leaders’ persistent antisemitic behavior, there has been a backlash in our own Jewish feminist ranks. Jewish women are being urged not to abandon the national Women’s March, lest we empower white supremacists, who are more dangerous to Jews and to women, and are only too delighted to sow divisiveness among social justice activists. 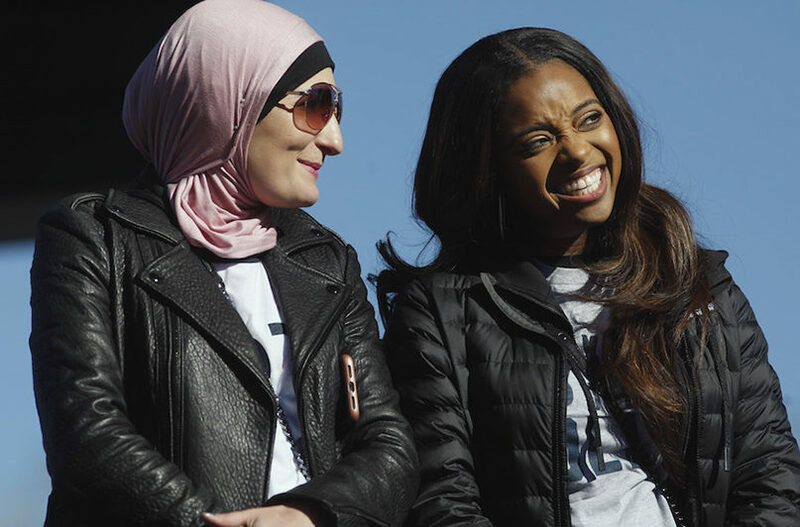 In effect, the argument goes, to raise a fuss about antisemitism among Women’s March leaders or other progressive activists is to be a tool of the far right. It is condescending to presume that Jews who call out people like Linda Sarsour and Tamika Mallory are being manipulated and duped. We know antisemitism when we see it. In fact, Sarsour recently hit a new low by invoking on Twitter the pernicious “dual loyalty” canard that has been the basis of persecution of Jews for centuries by accusing progressive Jews of caring more about Israel than they do about preserving American values and ideals. Like almost every other issue these days, the fight against anti-Semitism is becoming increasingly politicized, pitting right against left in a meaningless debate about the identity of the worst antisemites in our midst. But there is no “antisemitism Olympics,” where we crown David Duke and Richard Spencer’s team with the gold medal as the far more dangerous, authentic anti-Semites, while Louis Farrakhan and the Nation of Islam come in a distant second and have to settle for the silver. All antisemitism emanates from the same age-old tropes of the sinister, untrustworthy, greedy, repulsive Jew. Peddlers of this evil all need to be fought with the same conviction and vigor, regardless of where they are on the political spectrum and how their messages are packaged. With a nearly 60 percent increase in antisemitic incidents nationwide over the last two years even prior to the horror at the Tree of Life synagogue, American Jews no longer have the luxury of looking the other way or tolerating moral equivocation. At the interfaith solidarity service for the greater Washington, D.C., community following Pittsburgh, District of Columbia Mayor Muriel Bowser declared that America had failed its Jewish population that awful weekend. “It is not the job of the Jewish community to solve antisemitism,” she said. Nor, I would add, are we obliged to passively enable antisemitism because of misplaced guilt or a sincere, values-driven desire to build bridges and heal our fractured world. A palpable impatience and anger is beginning to grip many liberal Jewish women, especially since Pittsburgh. Many of the most loyal, passionate feminist soldiers in the Women’s March – having devoted significant time, energy and money to a movement in which they now feel disregarded and even perhaps unsafe – are simply walking away, at least for now. To be sure, there are highly respected progressive Jewish organizations and individuals who for legitimate reasons will continue to work with the national Women’s March leadership, even as many of us choose not to associate with the movement at this moment. For those of us in the latter camp, the imperative is to take a firm, clear stand – and to support and encourage our true allies to join us in rejecting Mallory, Sarsour and their ilk.